This more than 23-metre yacht marks an important step for Lagoon towards a world in which elegance and refinement are the watchwords. 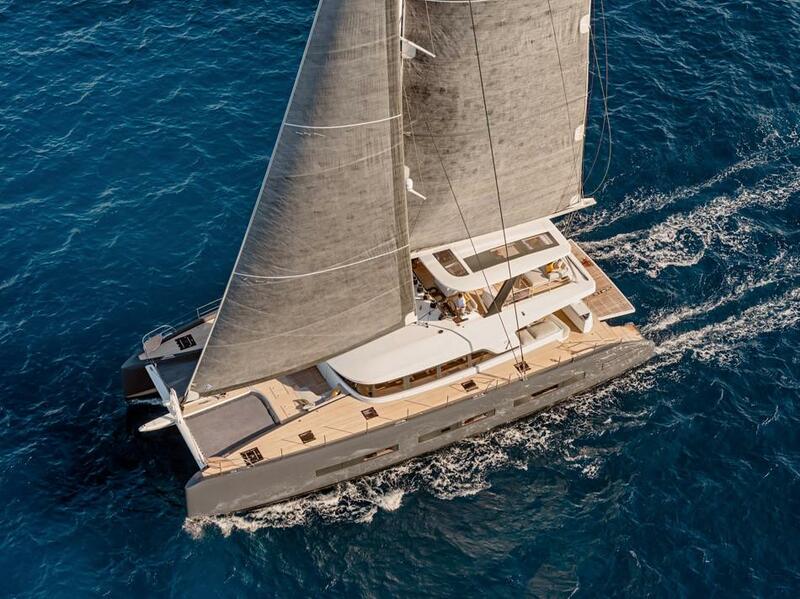 Lagoon brought together an illustrious team for the design of its flagship: VPLP, Patrick Le Quément and Nauta Design. 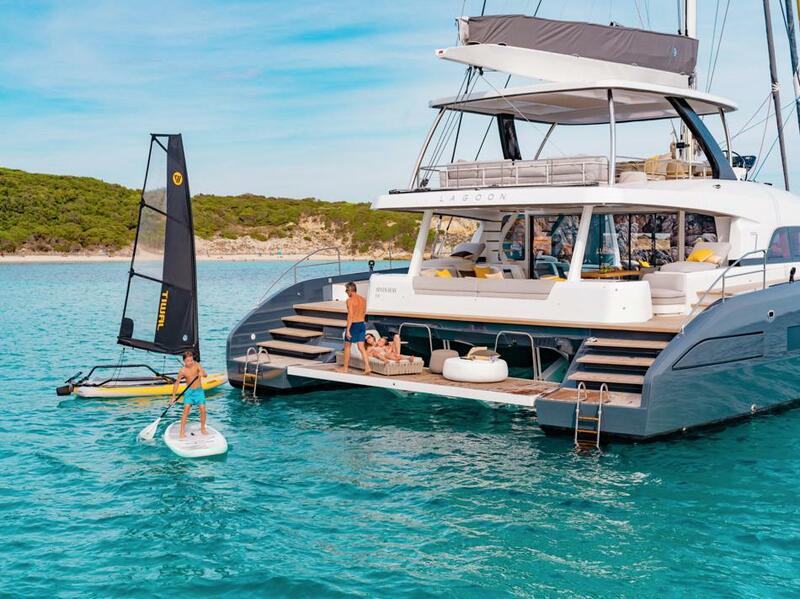 All have strived to produce a catamaran where harmony reigns between the interior and exterior living spaces, where compromise does not exist, where innovation enhances comfort and life at sea. 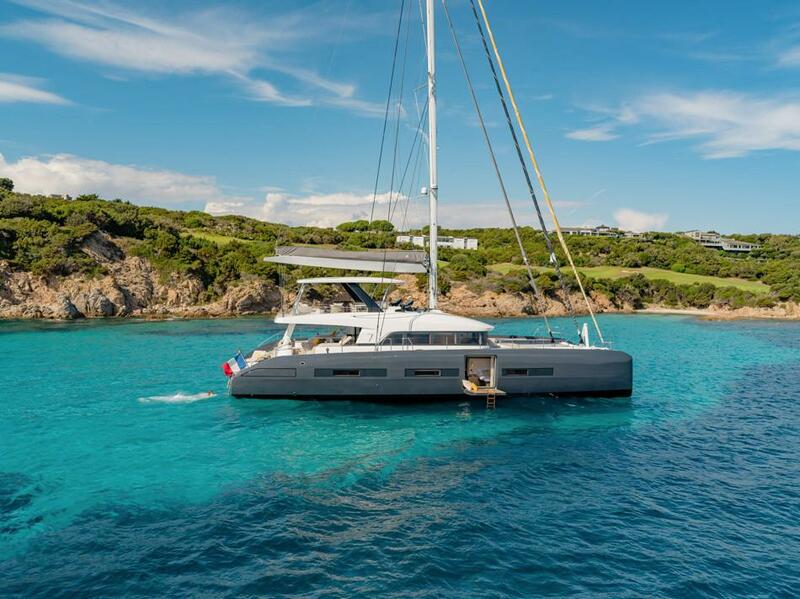 Below, you will find the essential information to acquaint yourself with this boat. 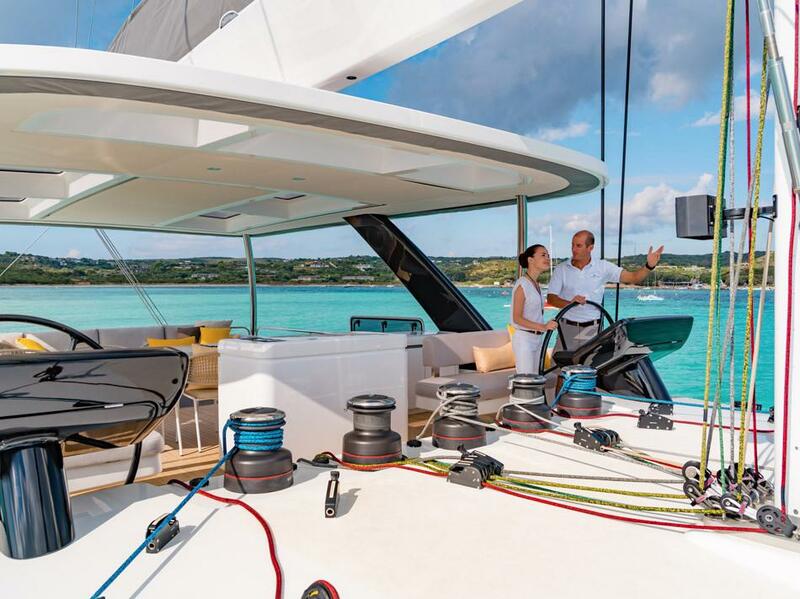 Creating a new model such as the SEVENTY 7 within an already very extensive range was a challenge. 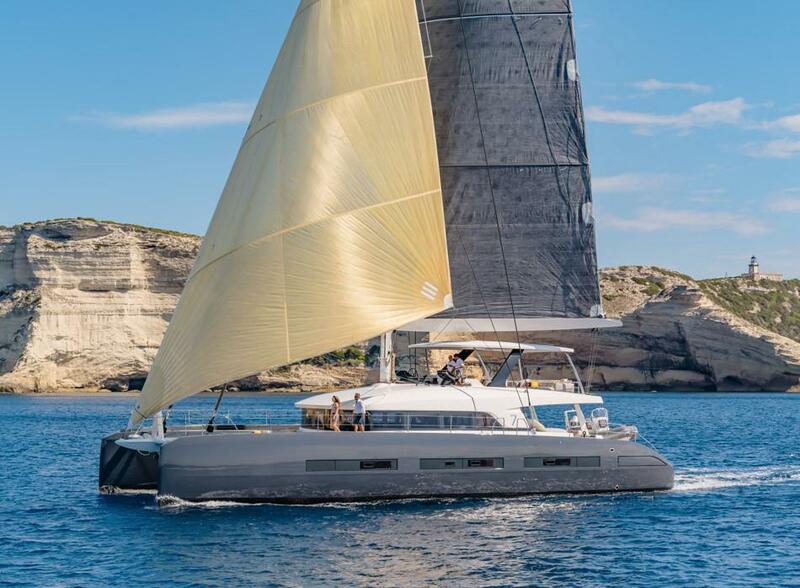 Lagoon wanted to take up this challenge to fulfill the wishes of owners in search of another dimension. 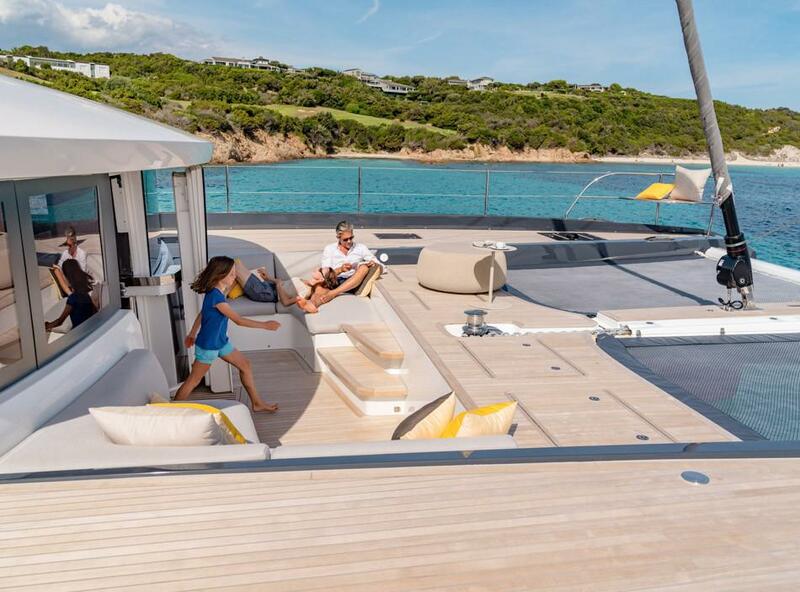 Connected spaces that become one, from the aft deck to the trampoline forward. 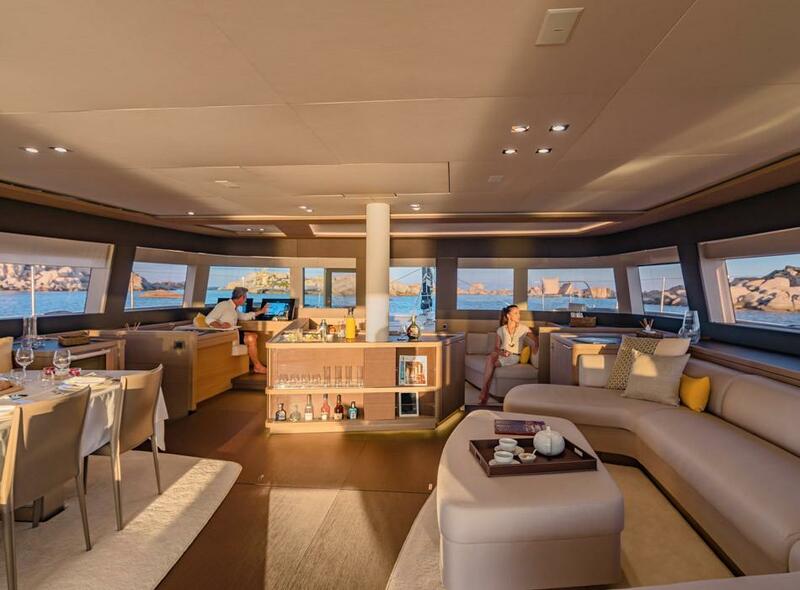 A massive flybridge affording an impressive additional living space, while remaining an integral part of the boat. 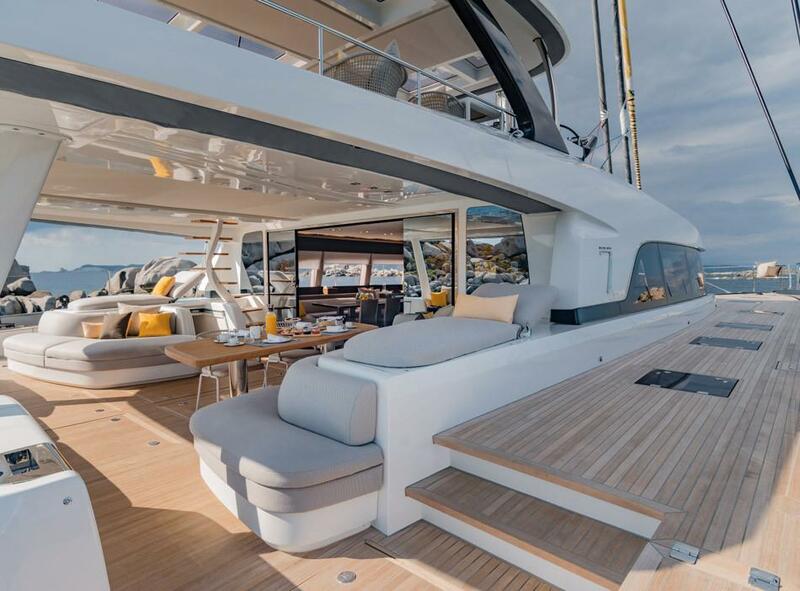 A forward cockpit, directly accessible from the deck and the saloon, providing an outstanding view to the horizon. 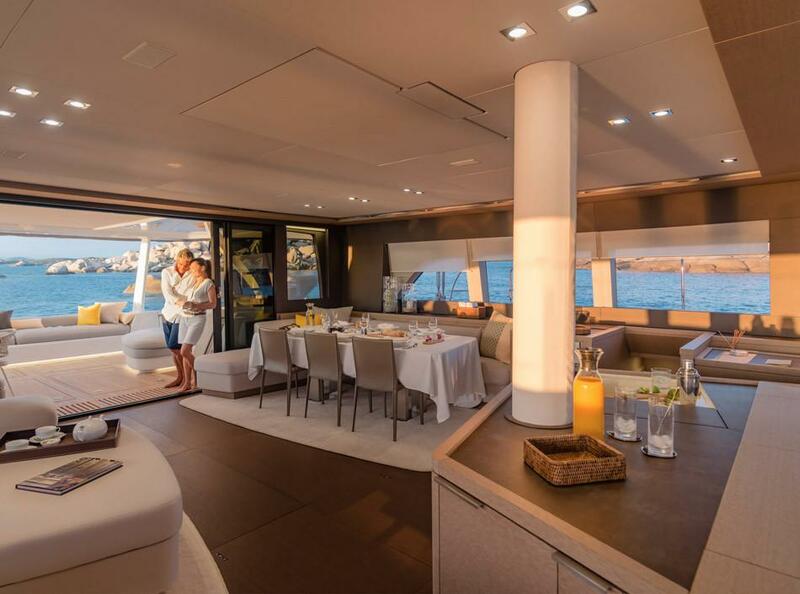 Large hull portholes that allow generous amounts of light into the interior spaces. 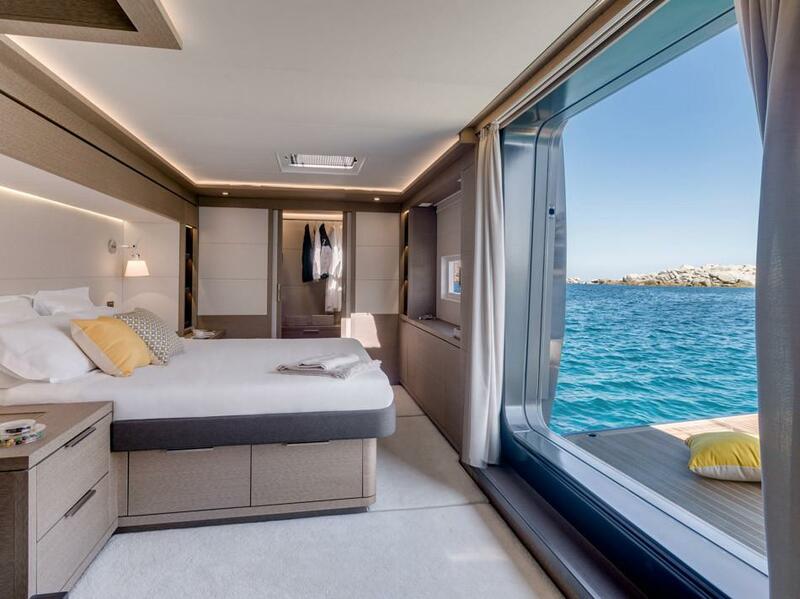 Direct access to the sea from the owner's suite through the hull door, the SEVENTY 7?s private beach: a little technological gem available as an option. 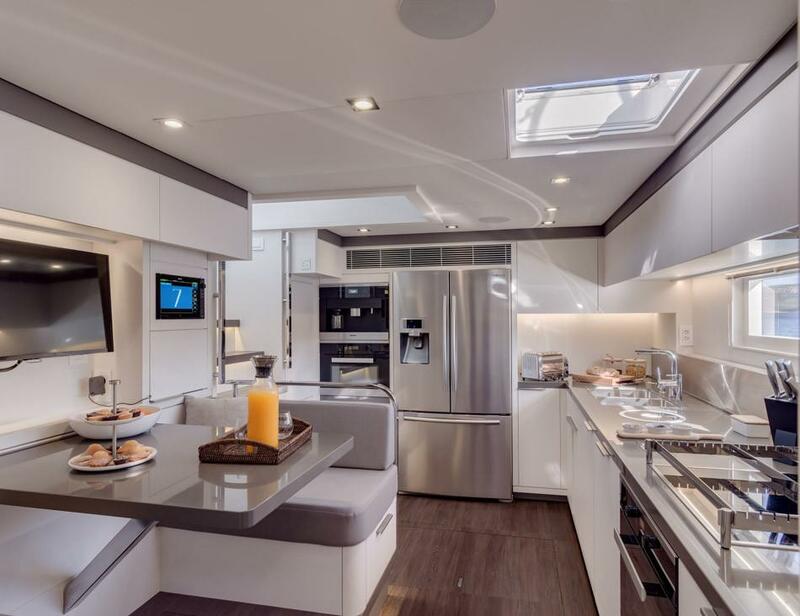 For the more demanding, 25 m² of fully configurable space enabling you to create your very own SEVENTY 7. 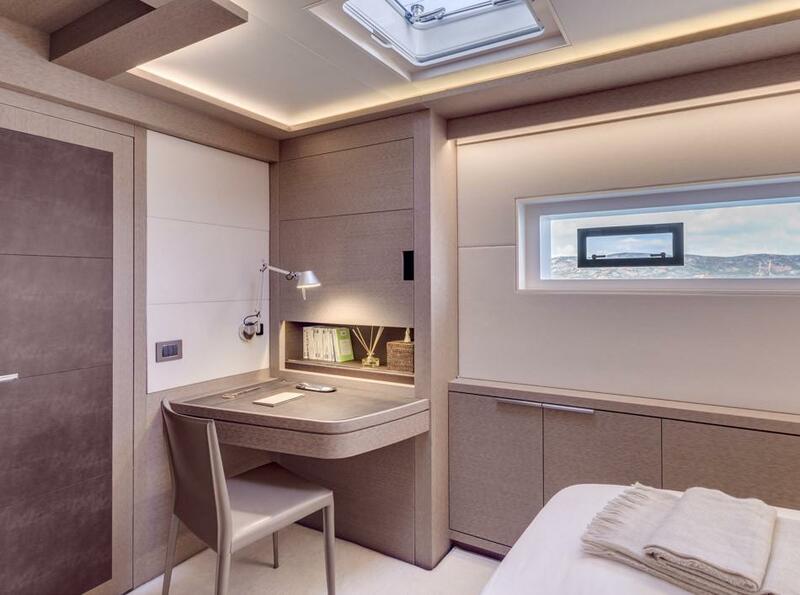 This option is available only in the "forward galley and crew quarters" version, as the customization space is that of the aft portion of the port hull. 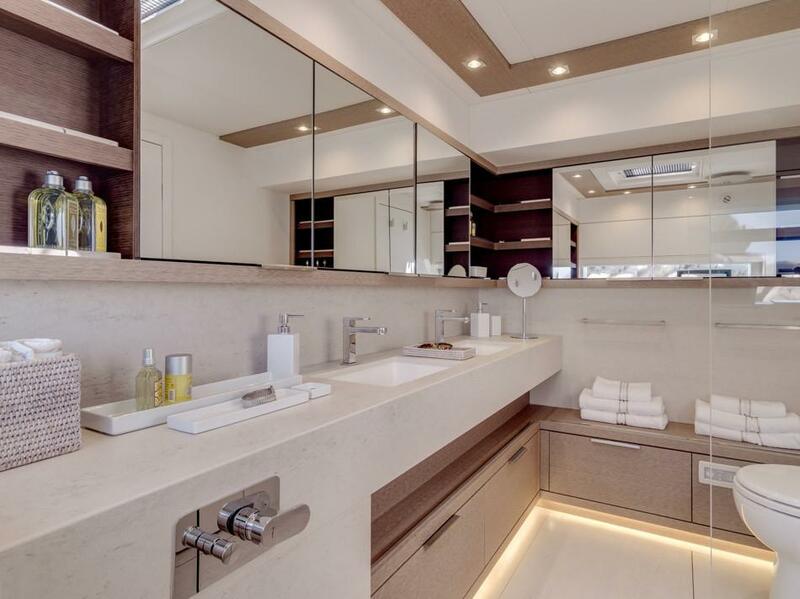 The blend of elegant details and finishes and the refinement of the materials provide you with a comfortable and harmonious interior. 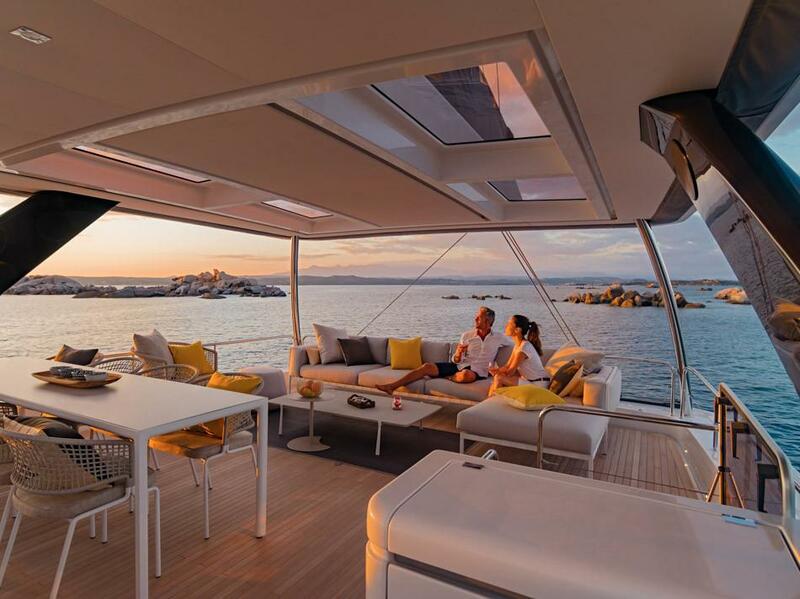 An interior with optimised layout to create a true living space, infinitely spacious and bright. 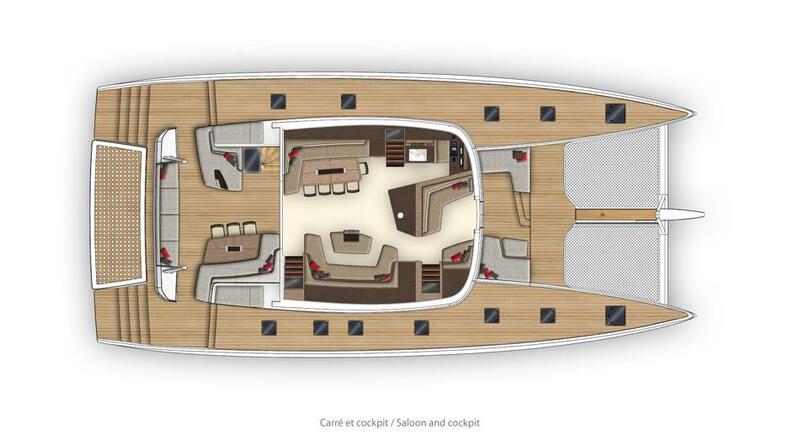 A saloon with large windows and exceptional headroom, providing an outstanding panoramic view. 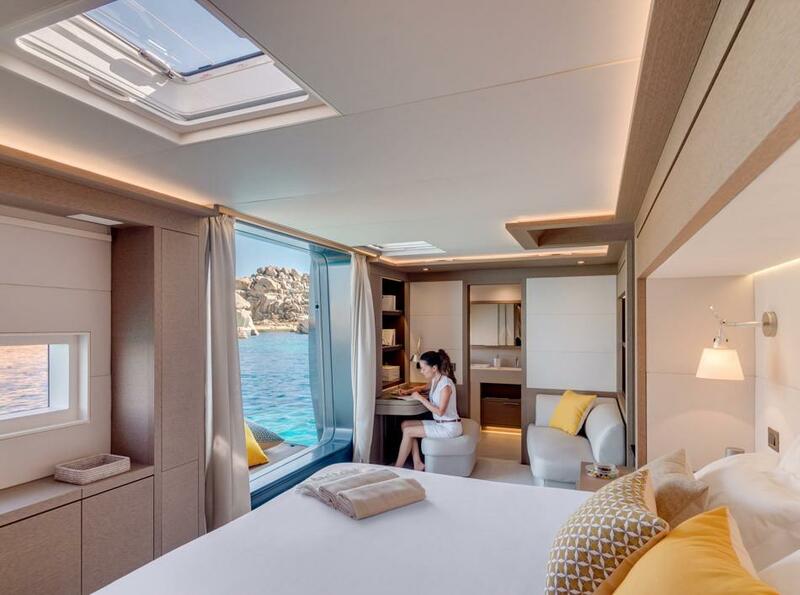 A real owner?s suite, independent of the rest of the vessel, providing access to the sea with an optional private beach. 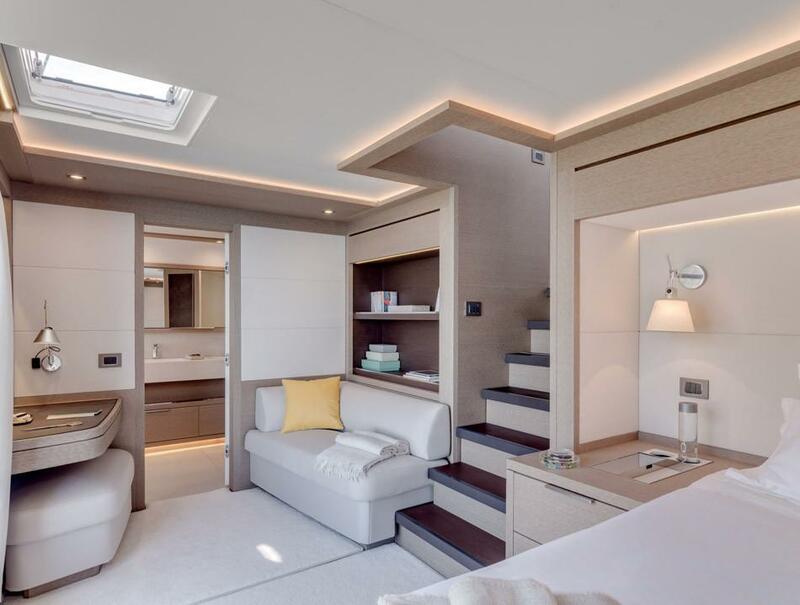 A flexible space enabling the creation of an additional private area for the owner's suite, connecting directly to the saloon and the forward cockpit. 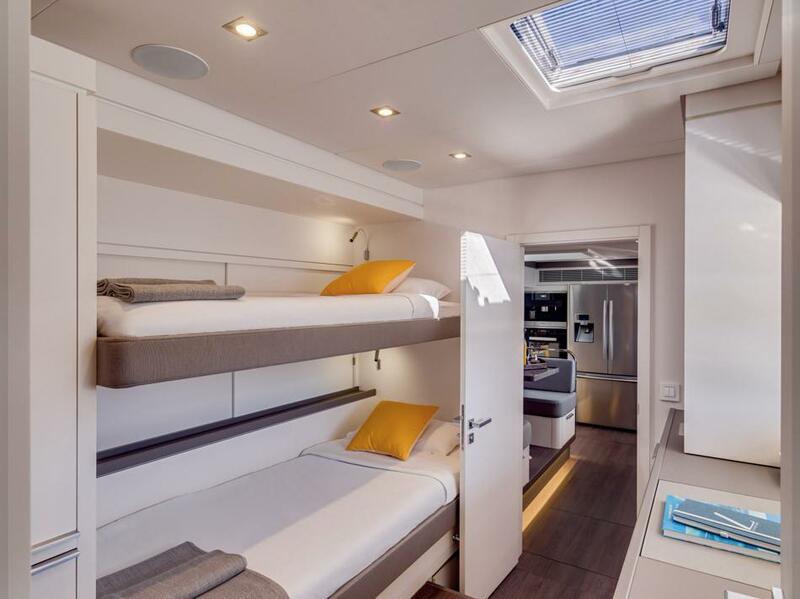 Different layouts available with 3, 4 or even 5 guest cabins, each fitted with an island bed, a desk, ample storage spaces and complemented by a private bathroom. 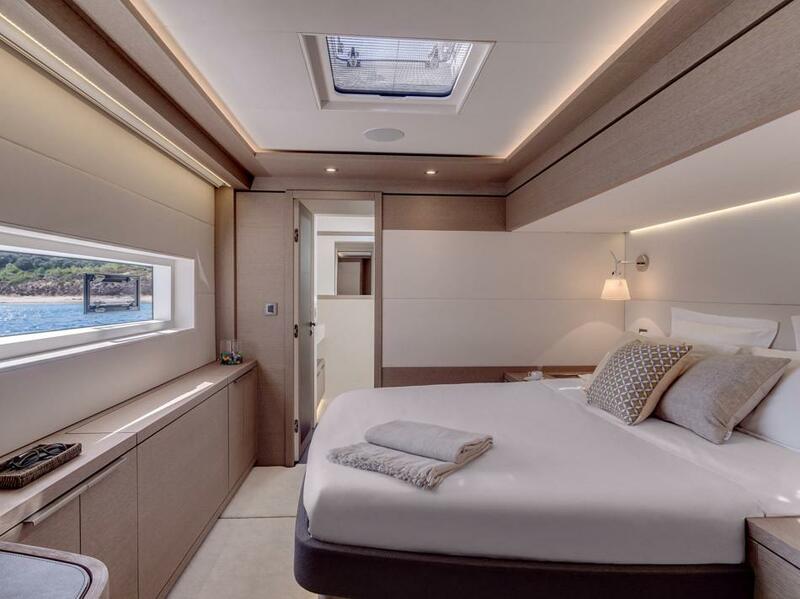 A crew area with more comfort and space: a true suite, located at the forward or aft end of the boat depending on the desired layout, as there are 2 layout options.